The CARE for AIDS center in the Mukuru Kayaba community launched in late 2017. Mukuru Kayaba is a slum community in Nairobi with an estimated population of 185,000. Many community members are living in extreme poverty and have little to no education. The infection rate is high due to poverty and lack of access to healthcare. In 2013, Beatrice began rapidly losing weight and became very weak. When she went to the local clinic for a checkup, she was told she was HIV-positive. Beatrice was devastated and immediately started worrying about the future of her young daughter. She asked God to give her strength and provide a way for her to survive despite her diagnosis. 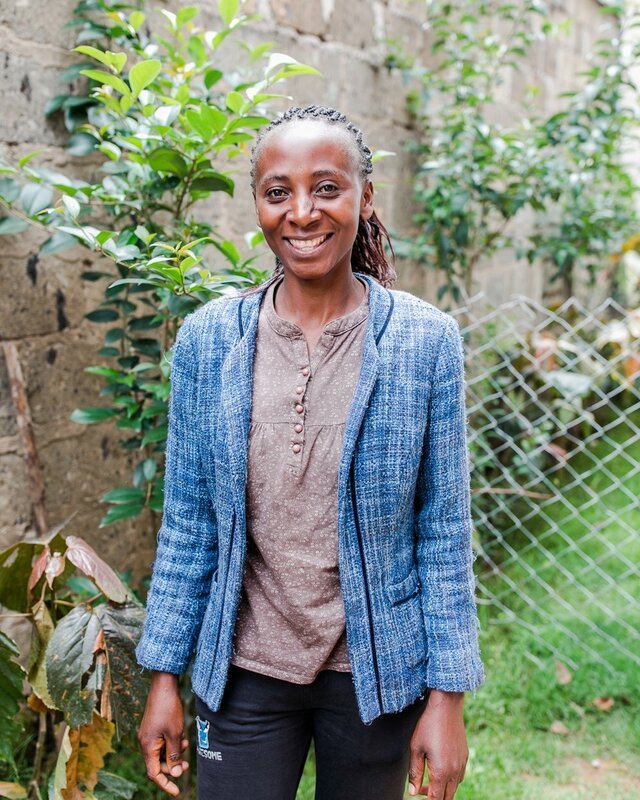 Beatrice heard about the CARE for AIDS program at Mukuru Kayaba in 2018 from a community health volunteer. She has only been a part of the program for a few months but is already so grateful for all the program has done for her. Many of her classmates are her friends and neighbors and she has a new confidence knowing that she is not the only one with HIV. “We are many and I am encouraged knowing that I am not alone and that we have CFA behind us." Currently, Beatrice makes her living by washing clothes for others. She has already learned through the CARE for AIDS program how to make peanut butter and is saving her money to buy the machine needed to make it in bulk. Not many people in her community are making and selling peanut butter, so she knows she will have a sustainable market for her product. Beatrice is excited about learning even more skills over the next few months. She is determined not to miss a single seminar or counseling session. “God has sustained me. He has given me the strength and courage I need to raise my daughter. I’m proud of who I am now and I am working for the Lord."